Ever since I realized how good and easy fried donuts taste using Pillsbury Grands, you can say we’ve become a bit obsessed at our house. Don’t get me wrong, we balance out our breakfasts with smoothies, eggs and baked donuts. Hehe. But seriously, when it’s time for a treat, these donuts fit the bill. And Saturday mornings, with our paper and comics in hand, these pair nicely with laziness and coffee! You can even serve them for dessert! Because they are individual servings, they would be perfect for company too! You start by frying up your Grands biscuits. I like the original version, but the flaky layers are nice too. Add canola oil to a stainless steel skillet. I don’t own a fryer, so this totally works for me. Save the oil to use again by allowing it to cool slightly, then storing it in a mason jar. I strain off any fried bits while pouring it in the jar. Saves money!! Back to the donuts. After frying them, I make a rich chocolate frosting. You can just melt chocolate if you want and dip them in that. OR, you can take this extra step by making a rich, chocolate glaze…the kind you would find on a bakery donut! Once you’ve dipped them in a chocolate, melt down a big Hershey Cookies ‘n Cream bar. 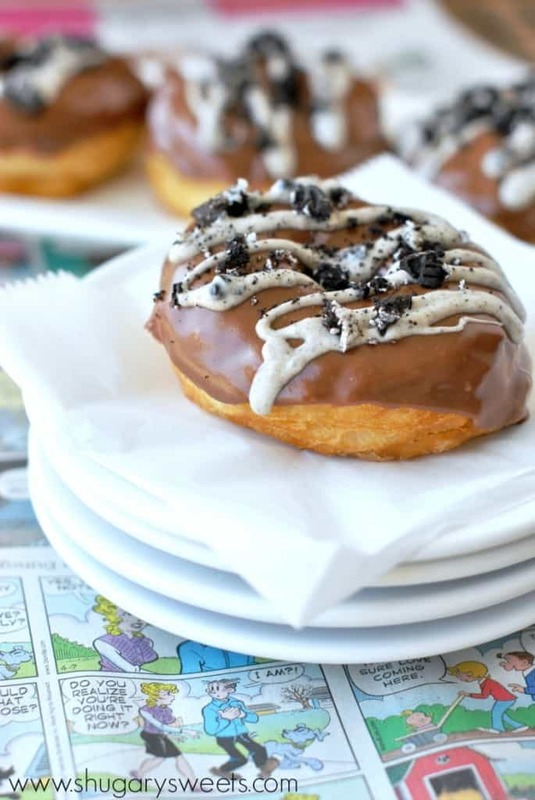 Drizzle that over the donuts and top with some Oreo cookie crumbs. Gourmet donuts in under 30 minutes! You’re welcome! Looking for more delicious donut recipes? You’ve come to the right place! Be sure to check out my Doughnuts Board on Pinterest!!! 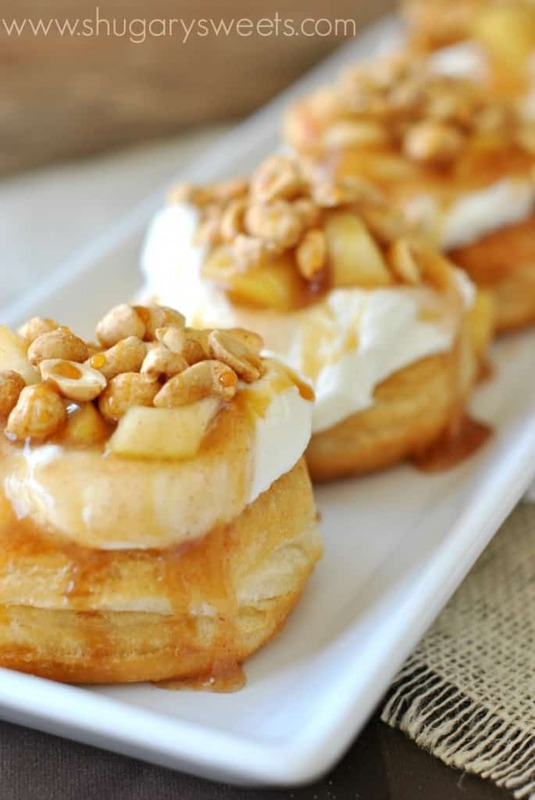 These Apple Pie Doughnuts are ready in 30 minutes. 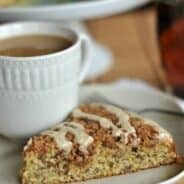 Perfect for breakfast, or dessert! 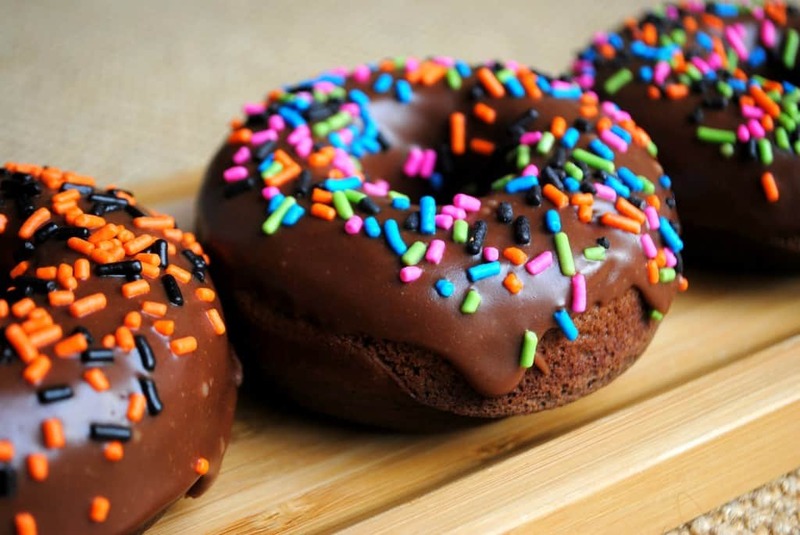 How about some Chocolate Donuts, that are baked? Cookies ‘n Cream comes in many ways. 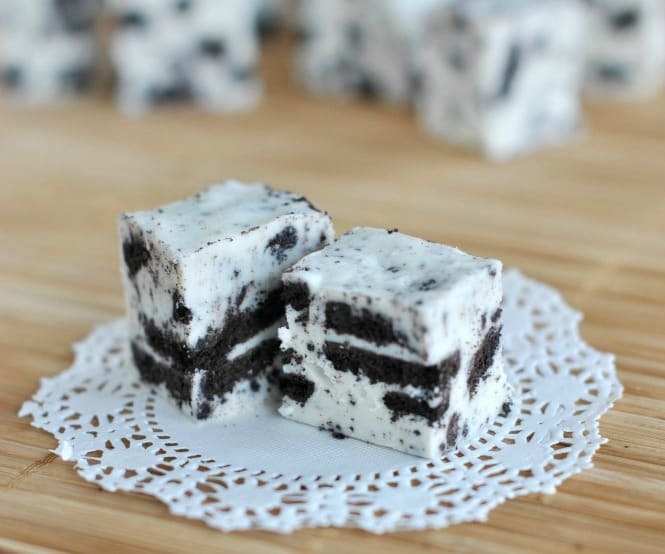 Cookies N Cream FUDGE is a perfect way to enjoy that Oreo flavor! Easy, fried donuts in under 30 minutes! These Cookies 'n Cream Donuts are made using Pillsbury Grands biscuits, Hershey Cookies 'n cream bars, Oreos and Chocolate frosting. Perfect, right?! While donuts are cooling, make chocolate glaze. In a small saucepan on medium low heat, mix together the cream, milk, butter, vanilla and corn syrup. When butter is completely melted, turn heat to low and add in the chocolate, whisking smooth. Remove from heat and whisk in the powdered sugar. This recipe for Cookies N Cream donuts was originally published on Shugary Sweets on July 27, 2013 and has been updated and republished in April 2018. We’re leaving on vacay in the morning, and I’m totally wishing I had a box of these to take with us in the car – they look soooooo good! Have a fun vacation Ashley!! These look divine. My problem with frying things is wasting all that oil, so thanks for the tip about straining it and saving it in a jar. Totally going to make some biscuit donuts now. Oh yeah, save the oil!! Oh, I totally should not have read this post. Now I want a dozen donuts! I LOVE biscuit doughnuts! My mom used to make them and roll them in cinnamon sugar when I was a kid. They’re one of the best things ever. I take all the donut holes and roll them in cinnamon sugar. So good and easy. My mouth is seriously watering right now, Aimee! 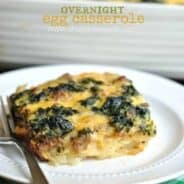 I’m so pinning this recipe and going to collect the others! I love how easy you made this for us…yummy-ness in just 30 minutes! I’m so on it. 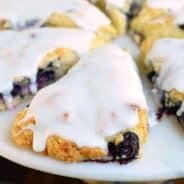 Thank you for including my Cinnamon Cream Cheese Pastry Doughnuts! We don’t eat fried food often either, but it’s such a rich, delicious treat in moderation!!! I’ve died and gone to heaven! Wish I had one of these right now!! Look so fabulously delicious! All I can say is that diabetes stinks! A stellar donut Aimee. I have to try using the Grands and making these donuts for the kids. They would LOVE these! Yum! What a cool idea for a shortcut! Dude! Love these! 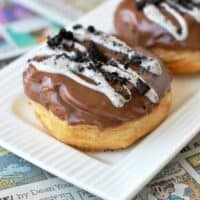 I have a list of recipe ideas (as do you, I’m sure) and Cookies and Cream donuts have been on that list forever! The melted Hershey’s bar is genius. Never would have thought to add that! Thank you for the recipe an don’t forget that left over do-nuts makes for a great start to a wonderful bread pudding. Oh Trish, great idea. But, leftover donuts? What is that? Haha!! I love making donuts this way but mind never look as fantastic as these! What a great idea for making easy fried donuts! That chocolate icing and Oreo? Even better. These look amazing. I don’t know if I should hide or share this with my husband. Can I just tell you how much I love the fact that I can make doughnuts using pillsbury grands? so so easy! and I am loving this version. ha! Des it’s so super easy. And addicting! ENJOY. Super yum!! And thanks for the tip – I didn’t know you could save the oil! Oh my gosh, yes! I save it all the time. I have different mason jars labeled with different oils. Donut oil. Chicken oil. LOL…. Mmmm these look like the perfect mid afternoon snack too right?! Yup thought so! Donuts from biscuits is all I have been making lately. 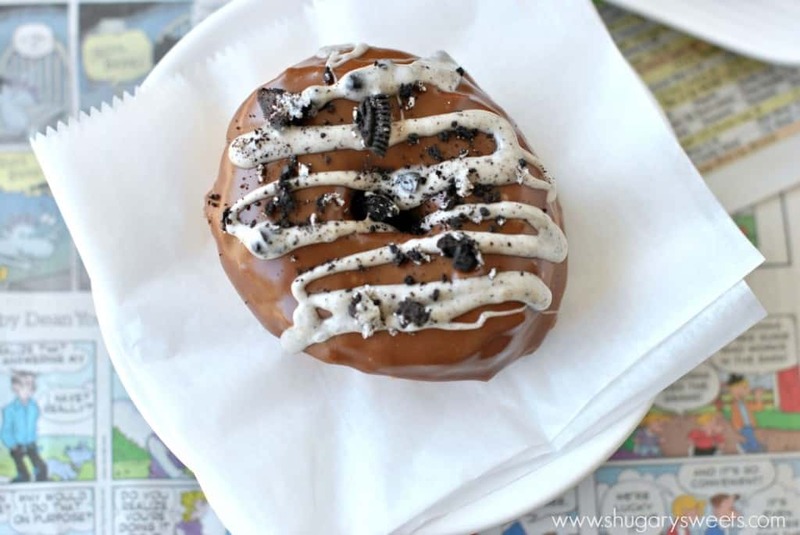 This is such a fun donut for breakfast too…love the melted candy bar on top! Thanks girl. Is it wrong to put candy bars on top of donuts? LOL. Is there a fudge recipe that wouldnt have any butter? 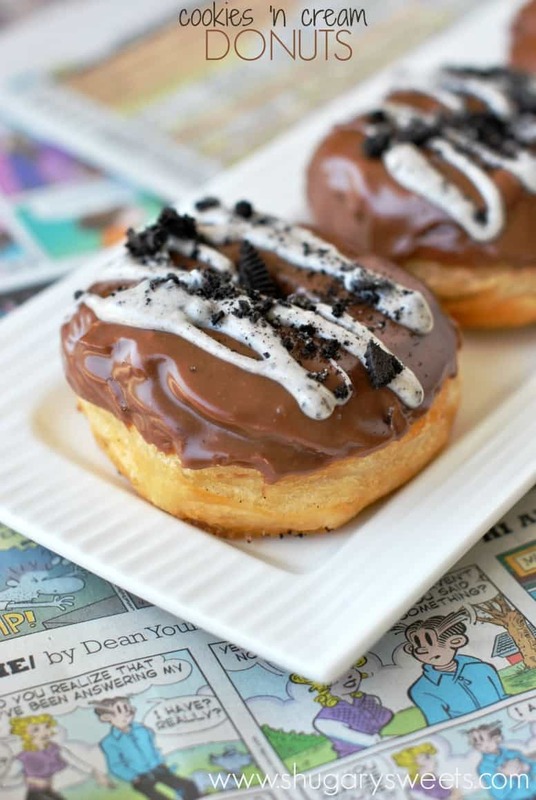 Oh wow, those cookie and cream donuts look amazing. I am just going to have to try some. Thanks for sharing. They ARE so good, and easy too! Could these be based instead of fried? As if, this is the best flavor ever!!! And love how quick these are, dangerous! Whoa, I need these doughnuts in my life!